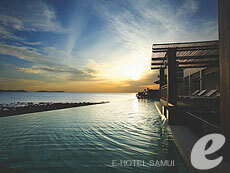 Chaweng is the largest and most popular beach in Samui Island. 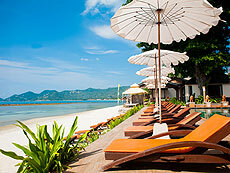 This over 5 km long white sand beach is good for swimming, jet skiing and banana boat rides. 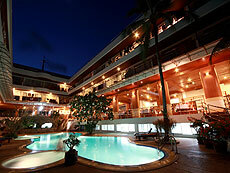 There are many nice restaurants and shops on the main street along the beach. 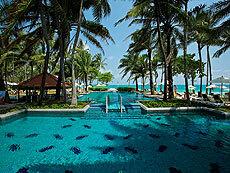 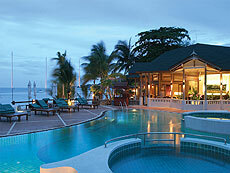 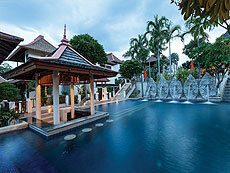 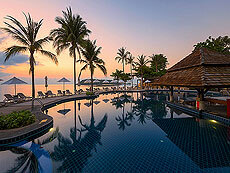 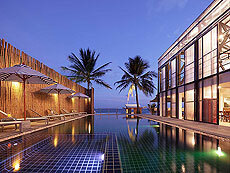 From luxury resorts to budget accommodation, a large range of hotels are found here. 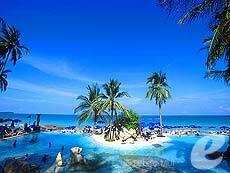 Chaweng is an ideal beach for acitve holiday makers. 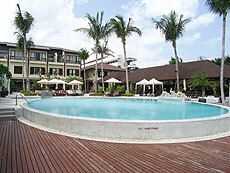 First Residence is a reasonable sister hotel of First House, its opening in 2007. 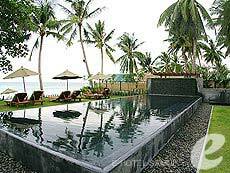 Despite the price, the facilities such as the family room are excellent, and is recommended from solo travelers to group guests. 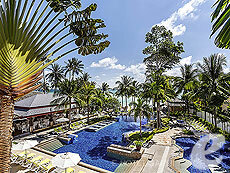 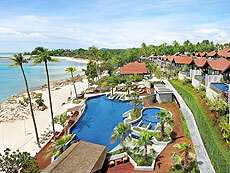 the Nora Buri Beach Resort & Spa is a villa type resort hotel only just opened at 2010 runned by the Nora group, owning four hotels on Samui Island. 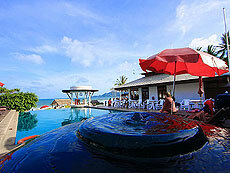 Due to its location at the north of Chaweng Beach, the surrounding atmosphere is quiet. 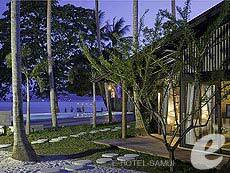 The free shuttle bus to Chaweng downtown is also available. 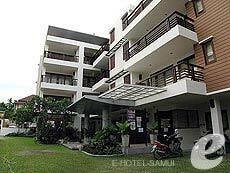 located in central Chaweng, a reasonable budget hotel!Surrounding the hotel are restaurants and souvenir shops, making it convinitent to eat and shop. 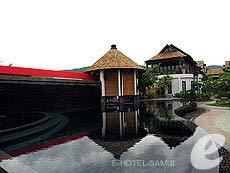 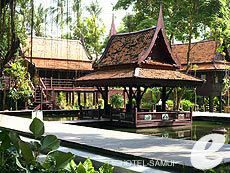 Recommended for a wide range of guests from solo travelers, group travelers to long-stay guests. 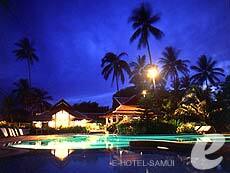 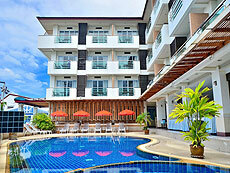 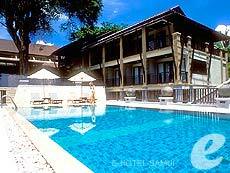 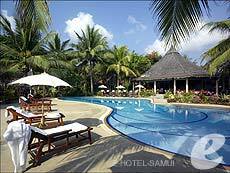 Beautiful & serene, Samui Sun Villa is centrally located in a quiet residential area in the heart of popular Chaweng. 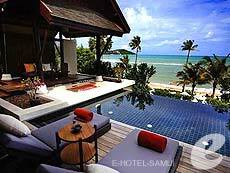 Ensuring full privacy, the surrounding walls and automatic gate open on to a luxurious villa, fusing Thai tropical elegance with high European standards & amenities – yet only 2 Km from famed Chaweng Beach with fantastic white sandy beaches, nightlife, restaurants and shopping. 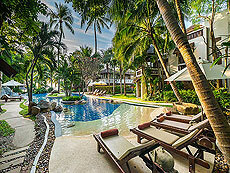 The beautifully decorated & furnished expansive villa has air-con throughout. 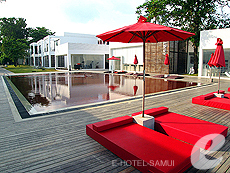 The 4 bedrooms and 4 bathrooms (3 en-suite) are large and comfortable. 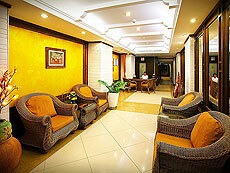 The spacious living room has state-of-the-art electronics and home theater system with speakers in all main rooms. 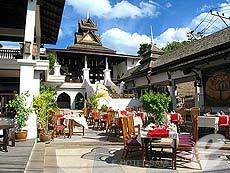 The stylish European kitchen and dining room open up to full size billiard room. 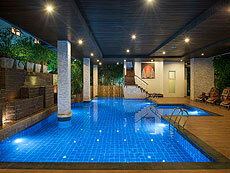 Other features include a fitness room and child’s play room. 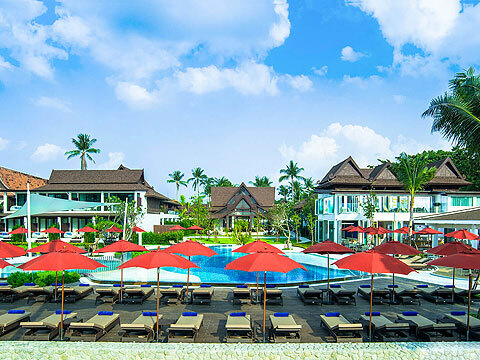 Step into the private swimming pool, with extensive terrace, walkway and mountain views surrounded by lush tropical shade trees, exotic flowering plants and green lawns. 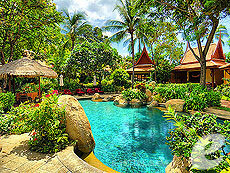 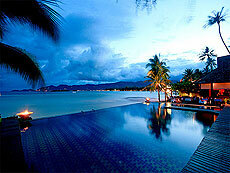 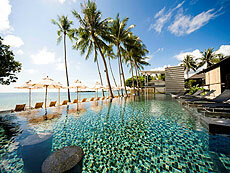 Samui Sun Villa offers a tropical island dream.